Only in California could arid land be converted into the nation’s salad bowl. In the late 1800s, University of California researchers discovered how to remove salts from the soils of the Central Valley, turning it into one of the most productive agricultural regions. UC researchers continue to play a key role in agriculture today, keeping California the nation’s leading agricultural state, from dairies in Tulare to nut farms in Newberry Springs. A new brochure highlights the breadth of UC Agriculture and Natural Resources’ impact. UC guidelines have helped farmers boost broccoli production. UC scientists have developed sweet-tasting citrus and strawberries to meet consumer demands. UC certifies more than 95 percent of wine grapevines grown in the state, providing a reliable supply of high-quality vines for California’s multibillion-dollar wine industry. 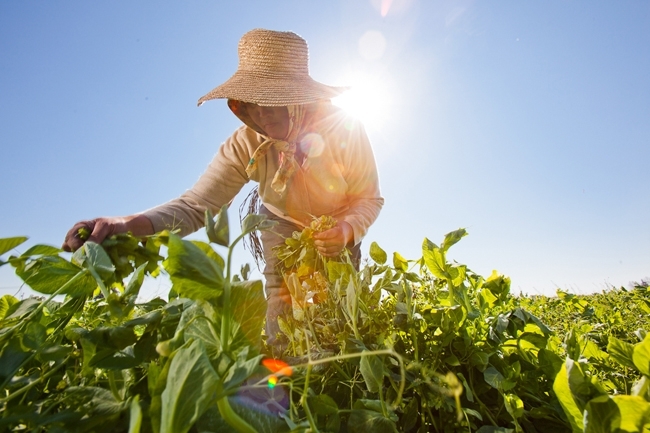 Whether it’s managing invasive pests, promoting nutrition or sustaining small farmers, ANR serves California’s communities with a focus on advising, educating and searching for solutions. 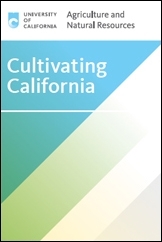 For more information, read the Cultivating California brochure. 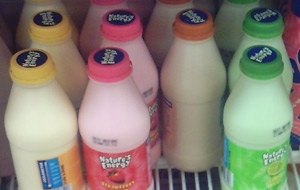 Flavored milk on a shelf. Back in January, British chef and TV personality Jamie Oliver filled an old school bus with 57 tons of white sand in a parking lot in Carson, Calif. What was the purpose of this exercise, you might ask? The sand was meant to represent the amount of sugar in flavored milk. More specifically, the amount of sugar children in the Los Angeles Unified School District consume in a week’s time from flavored milk provided in their school lunches. Well before Oliver emerged on the scene, people have debated the merits of offering flavored milk in the school lunch program. Chocolate (the most common), strawberry, vanilla and other interesting flavors are widely available in districts across the country. The milk provides essential nutrients, but with that comes added sugars that contribute extra calories to the diet – something most American children do not need. Is there a place for flavored milk on the school lunch tray? According to the American Dietetic Association, the Dairy Council and other health and nutrition organizations – the answer is yes. Supporters of flavored milk in schools argue that it provides nine essential nutrients – unlike sodas and other sweetened beverages that offer no nutritional benefit besides extra calories. According to the American Dietetic Association, leading health and nutrition organizations (including the American Academy of Family Physicians, American Academy of Pediatrics, American Heart Association, National Hispanic Medical Association, National Medical Association and School Nutrition Association) recognize the role that low-fat or fat free milk (including flavored milk) plays in helping kids achieve daily dairy serving recommendations. According to the ADA, kids will drink more milk when it’s flavored and kids drink less milk (and get fewer nutrients) when flavored milk is taken away. 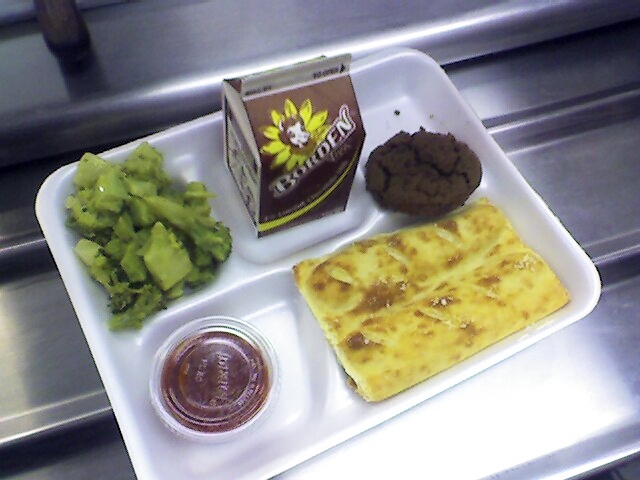 The Diary Council offers an overview for school nutrition professionals in favor of flavored milk on the lunch tray. The Dairy Council of California argues that we cannot forget flavored milk has both natural sugars (lactose) and added sugar, and the amount of high-fructose corn syrup added to flavored milk is much less than the amount added to sugary beverages like soda or other processed foods. Additionally, some studies suggest that kids who drink flavored milk are less likely to consume soda and other sugary beverages, they consume more nutrients and are more likely to maintain a healthy body weight. Where does LAUSD, the school district placed at the center of this debate, stand? Last Tuesday, the board voted to eliminate flavored milk from its school lunch program. This new policy will affect 650,000 students who receive meals from LAUSD every day. This will spare flavored milk-drinking students an additional 6-12 grams of sugar (or 1 ½ - 3 teaspoons) a day, should they have chosen chocolate or strawberry milk over plain low-fat milk. The burning question we all want to know the answer to now is, will LAUSD students switch over to low fat or fat free plain milk when chocolate or strawberry milk is no longer available in the fall? The answer will be very interesting and perhaps will put an end to the great flavored milk debate! Drinking a glass of non-fat or 1% milk will help soothe the day’s tensions and make you sleep better at night, but the benefits go far beyond its calming properties, says UC Cooperative Extension nutrition educator Ellen Sandor. The USDA 2010 Dietary Guidelines for Americans recommends three servings of non-fat or low fat dairy products per day. In fact, milk’s importance is creatively highlighted is USDA’s new “MyPlate” nutrition icon. MyPlate clearly illustrates that a healthful diet can be achieved by filling half a plate with fruits and vegetables, and splitting the other half between grains and slightly less protein.  Dairy products are shown in a separate circle, invoking a glass of milk or cup of yogurt to accompany the meal. Sandor said USDA recommends all children and adults drink non-fat, 1% or 2% milk except children under 2 years old. The amount of calcium in non-fat and low-fat milk is exactly the same as in whole milk, however, whole milk has 9 grams of fat and 157 calories. A cup of non-fat milk has 86 calories. Additionally, fat in whole milk is the unhealthful saturated type, which boosts the levels of bad cholesterol in the blood, raising the risk of developing coronary heart disease. Whole milk and milk products can also contribute to overweight. Even though it’s widely understood that milk is important for good health, children and adults in the United States are, by and large, not consuming the amount recommended by the USDA’s Dietary Guidelines. Sandor said it is important to teach children to eat dairy products daily so it will be easier for them to consume them as adults. 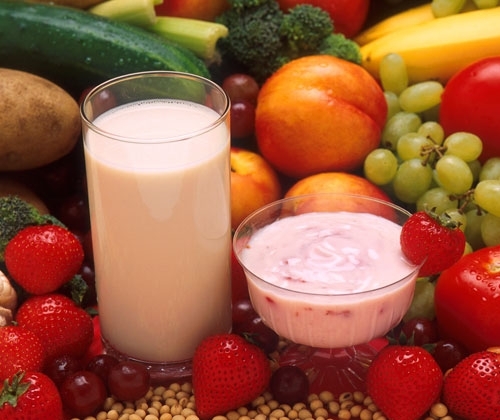 Offer children low-fat yogurt with fruits and vegetables as a snack or desert. Suggest that drink machines at your children’s school include milk products. Offer lactose-free milk or foods fortified with calcium to children who do not tolerate milk. Consider arranging for your child to eat the school lunch. Children that eat school lunch drink more milk than those that bring their lunch. Dairy products are a fundamental part of a healthful diet. Written by: Norma de la Vega. Adapted from Spanish by Jeannette Warnert. A new winery, brewery and food-processing complex began operations this fall at UC Davis. Part of the Robert Mondavi Institute for Wine and Food Science, the technologically sophisticated facilities will be used to teach students, conduct research, and solve practical problems related to foods, beverages and health. The south wing of the new complex is home to the August A. Busch III Brewing and Food Science Laboratory, which includes the brewery, general foods-processing plant and milk-processing laboratory. The complex’s north wing houses a new teaching-and-research winery. 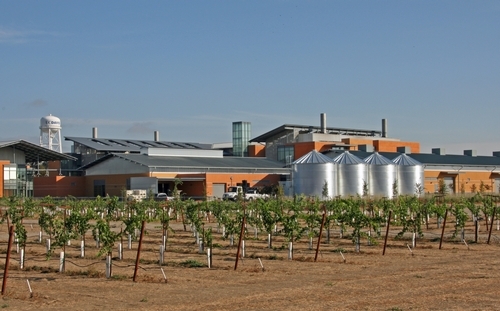 The complex is adjacent to a 12-acre teaching-and-research vineyard and across a courtyard from the departments of Food Science and Technology, and Viticulture and Enology. Features include onsite solar power generation and a system for capturing rainwater and conserving processing water. Stored rainwater will be used for landscaping and toilets. The winery (right) will capture carbon dioxide, a natural byproduct of fermentation, thus reducing the building’s energy requirements for air quality and temperature control. Other features include maximum use of natural light, food-processing equipment that minimizes energy and water requirements, use of recycled glass in flooring, interior paneling recycled from a 1928 wooden aqueduct, and use of sustainably certified lumber. The new brewery will showcase the latest in brewing technology, as well as a sophisticated laboratory for conducting research and training students. 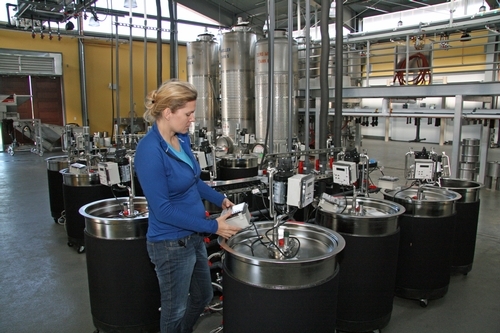 It also provides commercial brewers and suppliers with a small-scale facility to test new recipes or processes. The general foods- and milk-processing laboratories have been built to meet state and federal food- and dairy-grade standards. Products processed there will be used in sensory and nutritional evaluations. Research in the food-processing pilot plant will examine alternative food-processing methods and their nutritional effects, nutritional quality and shelf life of fresh-cut fruits and vegetables, nutritional enhancements from food-processing “waste” products, and improved food formulations. The milk-processing laboratory will support research on separation of milk components into functional ingredients, processing of milk modified by different feed rations, and processing of milk from cows bred for specific characteristics. Dozens of private donors helped make the complex a reality, including a $5 million contribution from the late winemaker, Robert Mondavi, and a $5 million pledge by the Anheuser-Busch Foundation. Other major donations were made by Ronald and Diane Miller and by a group of winery partners led by Jess Jackson and Barbara Banke of Kendall-Jackson Wines, and Jerry Lohr of J. Lohr Vineyards & Wines. The Department of Viticulture and Enology’s Board of Visitors and Fellows also made significant contributions. California tomato processors and growers contributed more than $2.5 million to the food-processing pilot plant. Morning Star Packing Company provided a lead gift of $1 million for the food-processing plant. Hilmar Cheese Company also stepped up with a $250,000 pledge. In all, more than 150 individuals, alumni, corporations and foundations contributed funds for the new winery, brewery and food-processing complex.